OCD is a silent disease that may cause intense distress to children and people around them might not even catch a whiff of it. Obsessive-compulsive disorder had brought under its fold around 2-3% of preteen and teen children. While a lot of these cases may be minor, detecting the presence of this disorder is pivotal, as we as parents will never be able to gauge to what intensity a child may get affected in the future. The full form speaks volume about what the disease is. Obsessive compulsive disorder- an obsession that will make someone do an unnatural chore due to intense compulsion. In psychology jargon, OCD is classified amongst anxiety disorders, and rightly so. In some cases, the anxiety and distress caused by not getting your ‘thought’s way’ are immense, immense enough to drive one insane. If we’ve got your ‘worry’ sensors ringing, please be at ease. Your child may suffer from any intensity of OCD and with the right counseling and treatment; it will not affect him from living a normal life, or even achieving great success in the future. One of the best aviation engineers in history, Howard Hughes, was also a victim of OCD. Earlier, we mentioned that an OCD victim suffers from anxiety caused by not getting one’s ‘thought’s way’. Let us elaborate. An OCD patient hears ‘voices’ in his head. It is not as bad as we make it sound; it is just that his mind will tell him to do compulsive chores which might not have any reasoning behind it. Fear Of Contamination- One primary trait is seen in OCD patients is the fear of contamination. One might wonder how this is negative or different from normal human beings, but it is the intensity that needs to be taken note of. Sufferers of OCD of this kind are extremely afraid of either something or everything getting contaminated. These ‘things’ can range from either the fear of contamination of oneself to the fear of contamination of the whole room or a place. They might also be afraid of unhygienic food, towels and other items of daily use. Fear Of Things Being Out Of Pattern- This fear is a rather peculiar, which fortunately, makes it easy to detect. An OCD patient might feel compulsive to put things back in pattern as they were supposed to be, or simply make patterns out of objects without any pattern. There have been recorded cases of people arranging aisles in a supermarket because it made them feel ‘uncomfortable’. They may also ask for their food to be brought to them in a particular pattern, or they may prefer to have the furniture around their home arranged in a pattern they are comfortable with. Hoarding- Another manifestation of OCD is hoarding. People who come under this like to accumulate things, irrespective of their necessity, viability or use. You might find a person holding onto movie tickets or shopping bills, just because they didn’t want to throw them away. An obsession of this kind will have disastrous consequences if the nature of the disorder is severe and something of apparent importance to the patient is lost. The fear arises in a patient’s mind from a belief that something bad will happen if they behave otherwise. A patient will believe something bad will happen if he doesn’t stay clean at all times. A patient will fear the worst will happen if he loses something out of his hoarded collection. You may be misinformed in the manner that people with OCD are simply people with ‘different’ habits which can be changed simply by forcing the patients to a different lifestyle. We cannot stress enough the need for you to let go of these misconceptions. If you force a person with OCD to behave normally without prior counseling, the consequences might be devastating. Hence, we advise you to get only the best professional care for your family and friends suffering from OCD. The complexities of this disorder in adults could’ve been evaded if they had been diagnosed as a child. Unfortunately, the nature of this disease does not allow easy detection, as compulsions may simply be passed off as ‘weird habits’. We encourage you to get your children for OCD at their optimal age. As we’ve stressed earlier, detecting OCD is a very hard task, especially since science hasn’t completely unraveled the causes of OCD. OCD in children under five may simply go undiagnosed, because of the unexplained habits children of these ages have. Here are 15 ways by which you can do your part in finding the bearings of this disorder in your children. If you’ve got a kid who constantly worries about losing their stuff repeatedly, get him/her checked. Don’t get us wrong; we know almost every kid worries about losing something, their favorite toy or something they find ‘cool’, but if the obsession towards losing common objects, like the stationary, or uninteresting stuff they might have is noticeable, we recommend you to consult your doctor. Children usually like to be dirty. Ask any mother; the most difficult task would be getting a child to take a bath. However, if the opposite is your problem, that is, your child takes a bath very often and periodically; it might be a sign that your child is a sufferer. 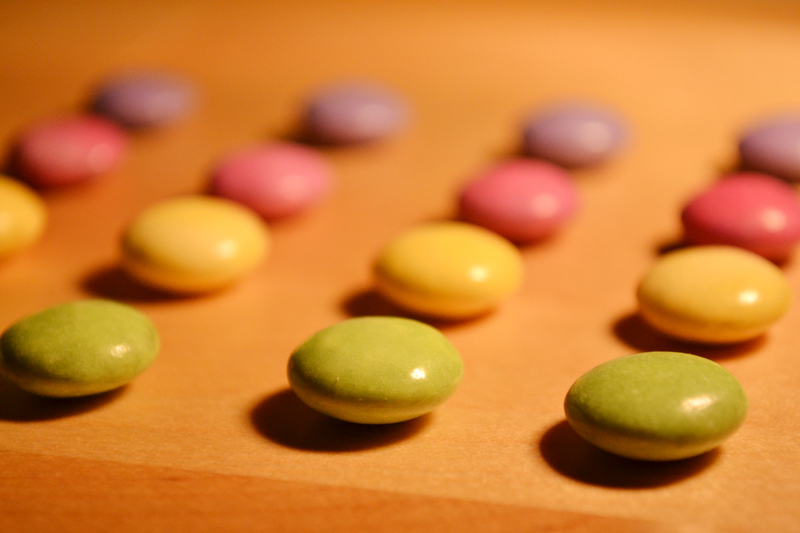 If you already suspect your child has OCD, a simple trick is to ask him the question, why? Ask him/her why he does what he does? If he is clueless, or replies with ‘just because’ or ‘because it feels right’, you are an inch closer to early detection. If your child washes his/her hand in unordinary frequency, you know what to do. Sufferers of OCD might have the habit of picking their skin. Again, don’t needlessly suspect a child who picks skin, many children pick skin at that age. However, if the habit gets to the point where doing it becomes harmful for him, for example, he picks skin so much that he starts to bleed, go ahead and get him consulted. This symptom might be caused due to the belief in the child that he/she is getting rid of older, dirtier skin for newer, cleaner skin. Similarly, you should suspect OCD when a child pulls at his/her hair. Again, maintain a mental gauge of the frequency of this habit and do not suspect him needlessly. If your child has the habit of counting everything you have, or anything you get from outside, get him/her checked. Many children like to count as a game, or maybe as an advice/activity at school, but if your child goes all numbers on the boring grocery you just bought, don’t let it fly. A child with OCD tends to tap a lot. Be it with hands or fingers or legs. If your child prays a lot more than what is practiced in your family, it might be a sign from God (excuse the pun). Praying is deemed a boring habit by children, and they usually copy their parents while performing the task. If your child gives a more religious member of the family a run for their blessings, go consult a physician. Similar is the case with excessive naïve superstitions. Every child believes that perhaps, writing an exam with a specific pen gets him more marks, or wearing a specific dress will make his day better. However, if these kinds of unattributed superstitions grow wild, make sure to get professional help. Excessive rubbing of hands might also be a sign. A thirst for perfection might also be attributed to this disorder. For example, believing a perfectly square plate is better than say, a rectangular plate. If he finds talking about his compulsions embarrassing, suspect OCD. If he feels isolated and lonely, in companionship with any of the above problems, there’s high chance he might need counseling. An addiction to the usage of excess soap or cleaning liquids might be a symptom. The above is as much a rhetoric question as it is a title. Even after diagnosis, parents may find themselves helpless in aiding their child. If you’re wondering how to help a child with OCD at home, hopefully, we may be able to help you. Treatment for OCD must be begun immediately by a qualified professional. A psychologist knows the wiring of your child’s brain better than anyone else, and he might be able to quiet down your child’s problem to into a problem of livable nature. Listen to him more than you talk. Continuously going on and on about how he should get rid of his compulsive habits will simply make him feel more isolated and embarrassed. On the other hand, let him ease up to you at his own pace. It will help him a lot as he now knows he can share anything at any time even as an adult in the future. Try your best to get used to your child’s rituals while he gets professional help. Making him know that it is fine to do whatever he does and that it causes no discomfort to others is a great catalyst in the counseling of OCD. Last but not the least; do not see your child’s disorder as a disability. In no way is he intended to perform any lesser than any other child in the world.